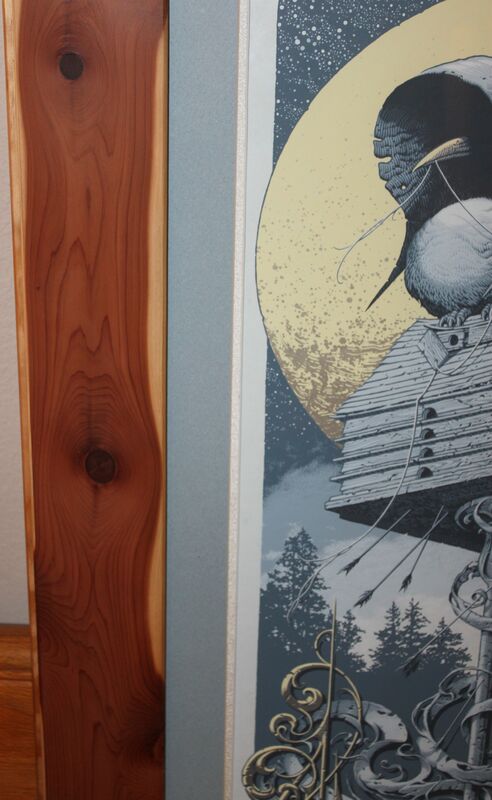 Great frame up on that variant kshumac! A favorite for sure. 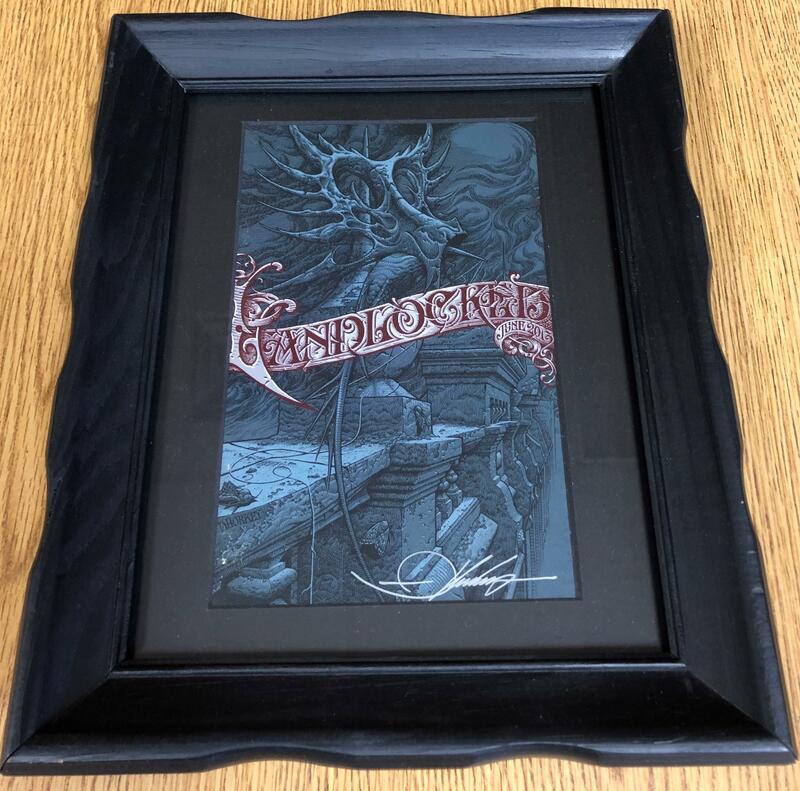 hard to follow up that gorgeous frame above ^ but here's the blood milk tote cut up and framed. BlakeAronson wrote: here's the blood milk tote cut up and framed. Nice job, simple and doesn't distract from the art. I never thought about the tote. I've wanted the print "Bury Me Beneath Books" ever since it was released and have never had the opportunity to pick one up. The tote would be a nice option until I do find the print, that's if I can find the tote. And this was my prize from THC last year (thanks Baker! 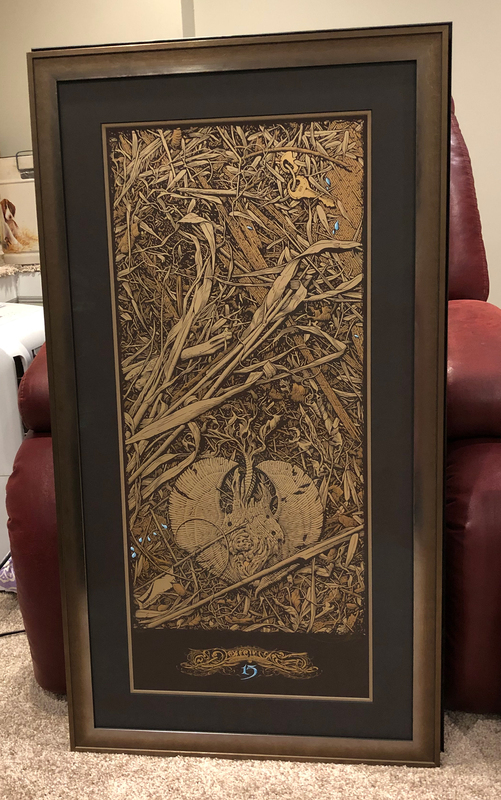 ), so happy to have this, this frame is a beast, $5 reclaimed frame, that I painted with hammered silver, double metallic blue/silver mats with hand painted copper bevels. Pretty happy with this one and honored to have won it. Damn, Jay, that Hyperstoic must be quite the beast of a frame up in person. Welcome back, buddy! Thanks man, appreciate it very much, good to be back! Hope you're well! It is a big beast, 32" x 40". 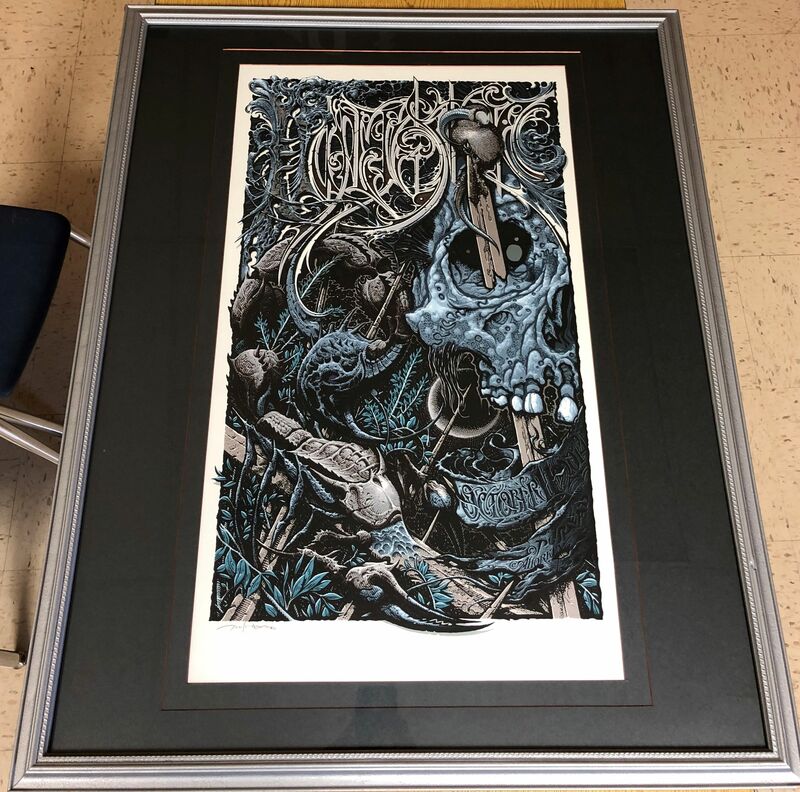 Picked this guy up from the framer a couple weeks ago. Sorry, the photos could be better! 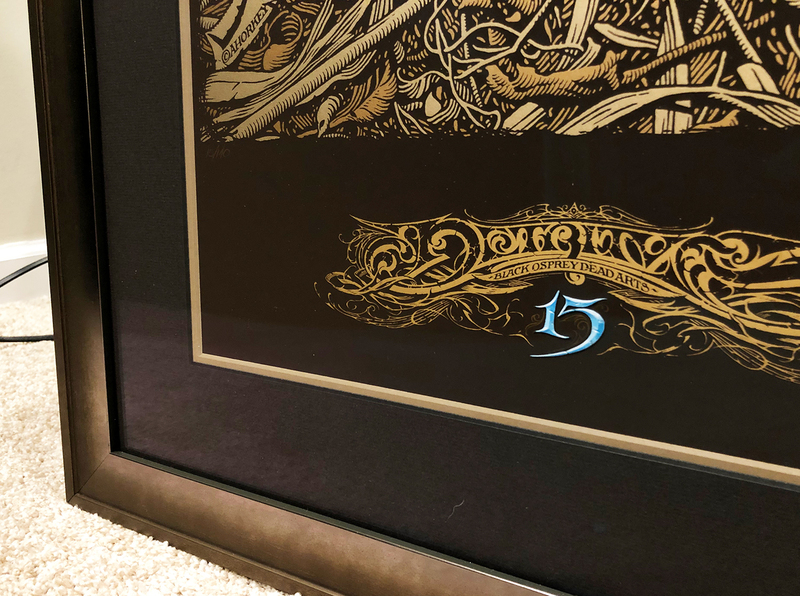 The frame has some texture and a unique patinaed brass sort of feel, which plays nicely with the gold inks without getting too flashy. I can't stop staring at it. 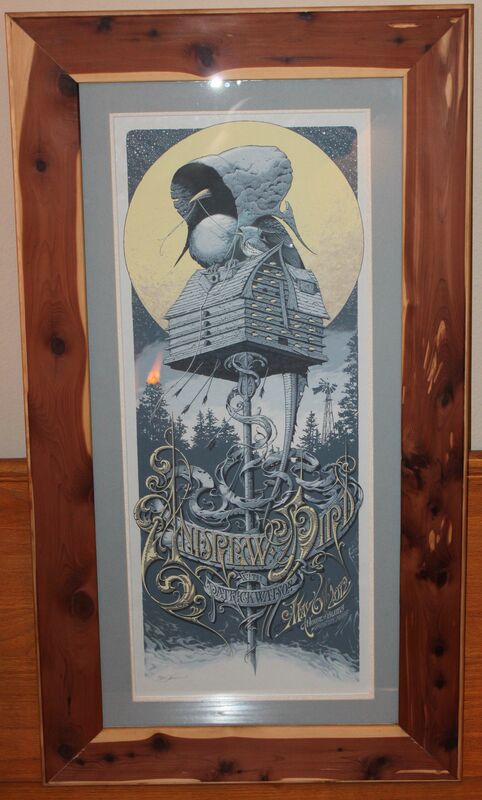 Ironically, it's my fifteenth Horkey to get framed! Probably my favorite... for now. Yeah, that Detritus is nails. Latest handmade frame for my AB, very happy with the way this turned out. This latest creation was made by using two frames stacked together. This gives the illusion of a matted piece of art. The white frame has a silver edge that perfectly matches the jagged border on the print itself. The outer frame has a burnt wood texture to follow the moth to flame theme. Museum glass with spacers.